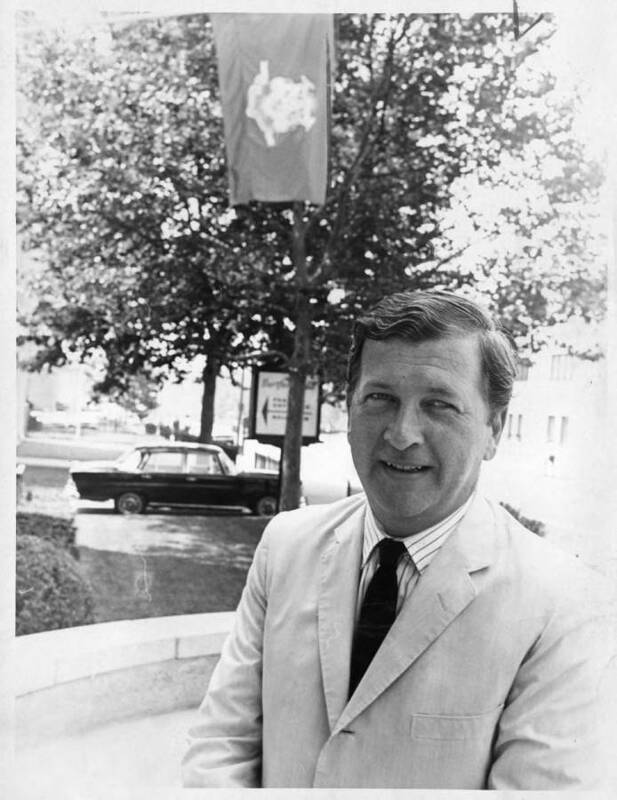 Homer Daniels Babbidge Jr. made his mark as president of the University of Connecticut from 1962 through 1972 and transformed the once-quiet university into a national leader in higher education. The son of a merchant sea captain and his wife, he was born on May 18, 1925 in West Newton, Massachusetts, and four years later moved to New Haven where he lived until his family relocated to Amherst, New York, when he was 12. Babbidge attended high school there and subsequently enrolled at Yale University as a scholarship student. In his senior year, he assisted Professor George Pierson with research for his history of Yale, an experience that deepened Babbidge’s interest in higher education. He received his bachelor’s degree in 1945, his master’s in 1948, and his doctorate in 1953, all at Yale, where he wrote his doctoral dissertation in history on the founding and early years of Swarthmore College. Babbidge taught American Studies at his alma mater and then became the school’s director of financial aid. From there, he went to the US Department of Health, Education, and Welfare, where he served as special assistant to the commissioner of education during 1955-1956, assistant to the secretary of the department in 1957-1958, and finally as assistant US commissioner of education and director of the Division of Higher Education during 1959-1961. He received the department’s Distinguished Service Medal in 1961 before he moved to become vice-president of the American Council on Education. Babbidge married Marcia Adkisson in 1956 and they had three children, two girls and a boy, the last born during Babbidge’s first year as president of the University of Connecticut, where he began his decade’s tenure in 1962. Before arriving at UConn, the US Junior Chamber of Commerce named him one of the “ten outstanding young men of the nation” in recognition of his work administering the National Defense Education Act of 1958. The NDEA reacted to Cold War fears of Soviet ascendancy and provided loans to students so that America would have a well educated workforce in the face of competition with the Russians. In so doing, it fueled the expansion of higher education during the 1960s. Prior to his arrival at Storrs, he also coauthored a well-received book, The Federal Interest in Higher Education. Clearly, he brought strong credentials to his new position. Babbidge’s decade-long service at UConn can be divided into equal segments. 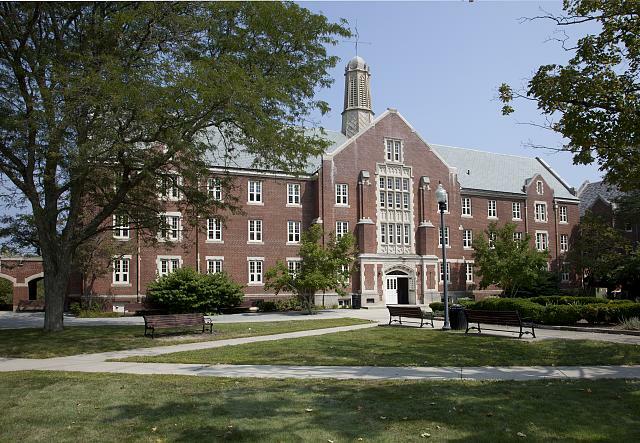 The first, from 1962 through the 1966-1967 academic year, proved a long honeymoon period during which he attempted to continue the transformation of the land grant agricultural school into a broader, and more liberal-arts focused, university. The second segment found him preoccupied with, and challenged by, the political, cultural, and social changes that disrupted campuses throughout the nation during the late 1960s and early 1970s. He improved the university’s budget, raised faculty salaries, and supported the transformation of the school’s library from highly inadequate to one with a million or more volumes—one of only 59 among the nation’s 2,200 four-year colleges and universities that could claim such resources. In New England, only Harvard, Yale, Brown, Dartmouth, and MIT had larger collections by the end of his tenure. The Babbidge years witnessed a new emphasis on the humanities, social sciences, and fine arts. Leading authors, musicians, scholars, and politicians came to Storrs to participate in special lectures and seminar series. Babbidge converted a former dining hall turned warehouse into the Benton Museum of Art. He advocated the establishment of a medical and dental school, established the University of Connecticut Foundation to raise funds, helped to develop the Faculty Alumni Center as a much-needed dining place on campus, and moved administration offices to a new home in Gulley Hall. 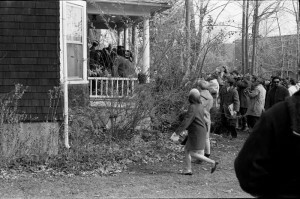 Babbidge and his wife instituted an Easter Egg Hunt on their lawn the day before Easter for the children of university employees. He experimented with “blue bikes” to be available to students to ride all over the 1,800-acre campus. The former Yale cheerleader also supported UConn athletics. Most significantly, he established an atmosphere for learning appreciated by faculty, students, and the community at large. As cultural change swept America’s campuses, UConn was not immune. Babbidge saw the need to end the university’s in loco parentis rules, and prohibitions regarding alcohol and public displays of affection diminished. But the president’s honeymoon at the university ended when the anti-Vietnam War protests began. Demonstrations against Dow Chemical, the maker of the incendiary weapon napalm used in Vietnam by the US military, and against other corporate members of the military-industrial complex, tore the campus asunder. Babbidge, however, maintained an unusual popularity for an administrator of that era and certainly had not been dismissed. Although a vocal minority had attacked him, over 7,000 students signed a petition asking the president to withdraw his resignation; the University Senate did the same. Such support did not change his mind, especially when a governor unfriendly to UConn took office during Babbidge’s final year as president. Upon departing Storrs, he returned to his alma mater in New Haven, becoming master of Yale’s Timothy Dwight College and a fellow of the Institution for Social and Policy Studies. During his four years in the Elm City, he attempted an ill-fated campaign for governor. He became president of the Hartford Graduate Center in 1976. Babbidge died of cancer at age 58 in March 1984. Shortly thereafter, UConn’s Board of Trustees named the school’s new library in his honor. Bruce M. Stave is Board of Trustees Distinguished Professor of History Emeritus and Director of the Oral History Office at the University of Connecticut. Babbidge, Homer D. Fitted to the Burden, Selected Speeches of Homer Daniels Babbidge, Jr. Storrs, CT: University of Connecticut Alumni Association, 1972. Stave, Bruce M. Red Brick in the Land of Steady Habits: Creating the University of Connecticut, 1881-2006. Storrs, CT: University of Connecticut, 2006.